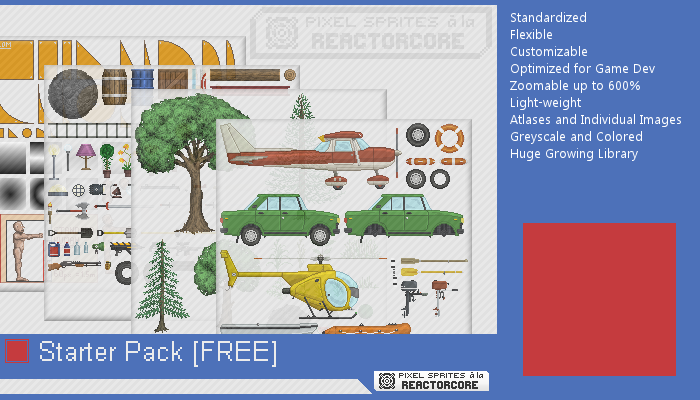 PSRC is a huge library of pixel sprites, with this package being a free starter pack, that contains a large amount of content, enough to build a whole game with. There are over 230 unique objects. To further expand the content, you may purchase expansion packs that focus on a certain theme, usually including hundreds of objects that are dedicated towards that theme. 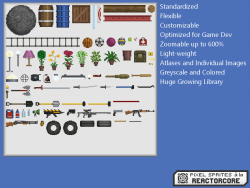 See my website, http://www.reactorcoregames.com/sprites.htm for more details and more expansion packs. 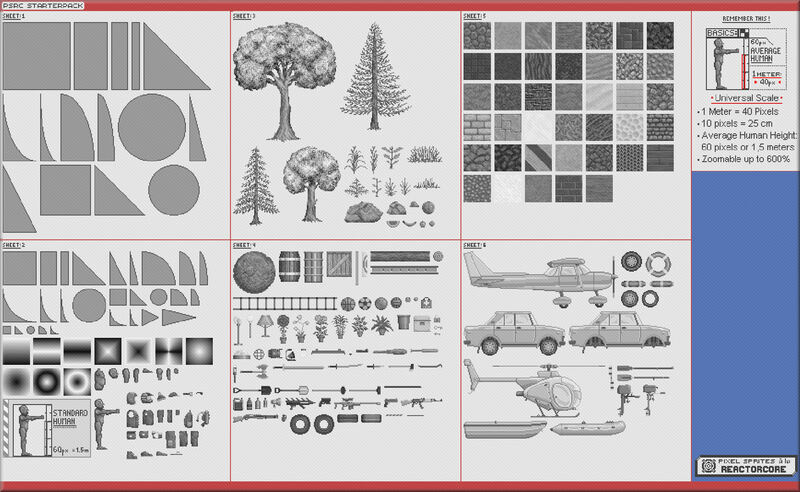 -Large collection of 2D objects both as individual images and optimized atlases. 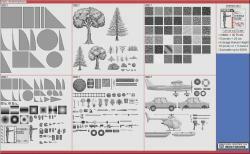 Every object comes with in a greyscale and color version. The format is .PNG with transparency. The regular size for the atlases is 256x256. 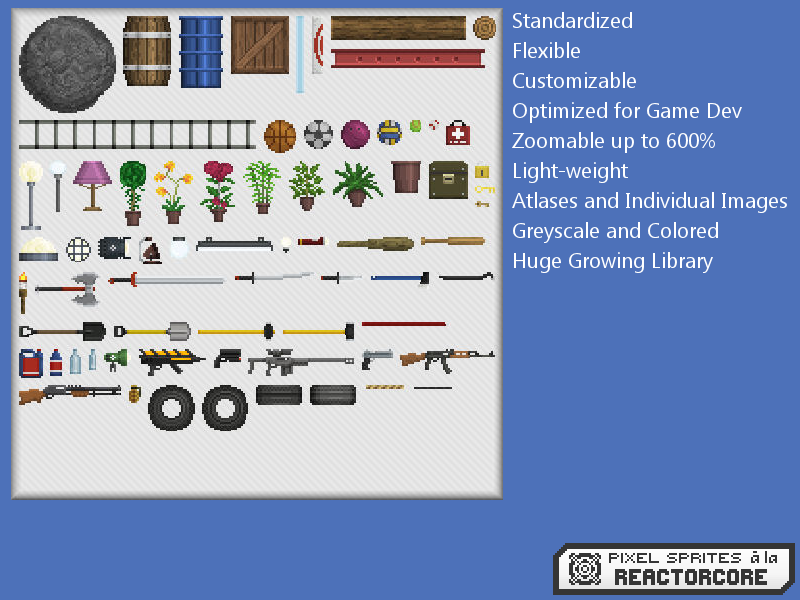 All sprites follow a standard of 1 meter = 40 pixels, so everything is compatible with one another. -Also includes an importable Unity3D package with all settings ready for each image. This is a very interesting pack. The sprites are good. And in combination with the unity file - you can start right away! Thank you.